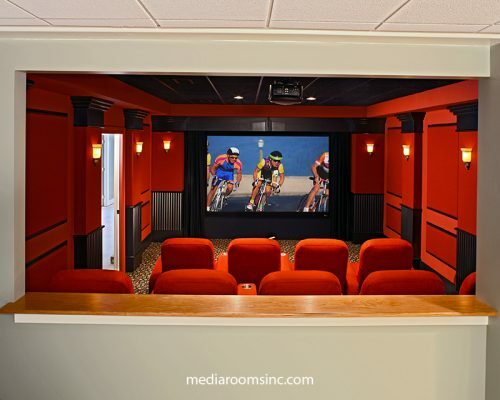 The client wanted a dedicated home theater in the basement of their home. We oriented the theater to allow the rear wall of the theater to be open (a half wall was built). With the rear wall open the use of the theater is now expanded to include a perfect view of the screen from the bar and wine cellar area. 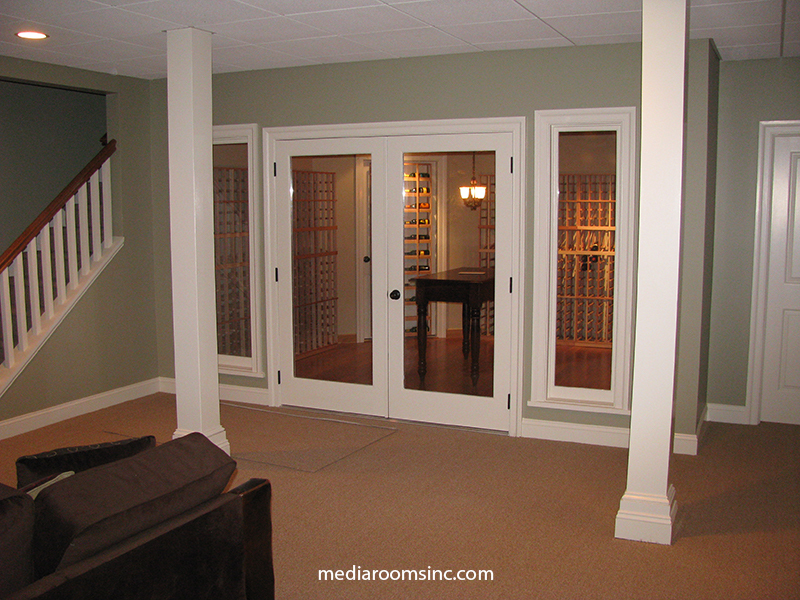 We designed and fabricated (in-house) all of the columns, wood millwork, front curtains and proscenium for the theater, and later fabricated a custom bar and wine cellar. 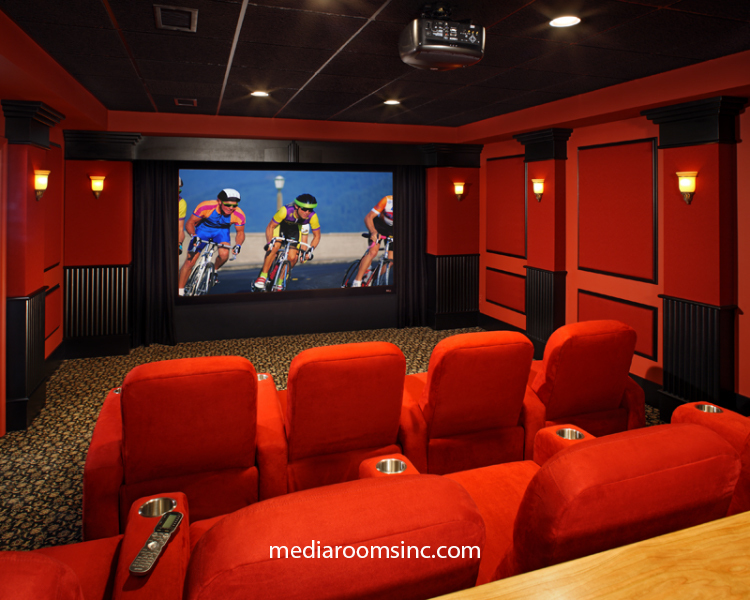 In addition, we installed the surround sound audio system and high definition video system. 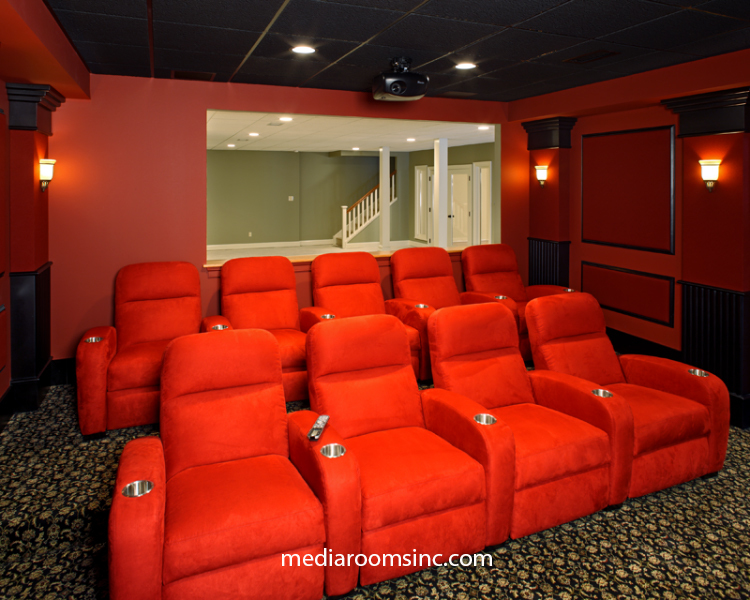 A single hand held remote control operates the audio video system and room lights. The left and right front speakers were built into the front columns behind acoustically transparent fabric. The bottom section of the columns have repeated half round moldings set side by side. These are doors that open to reveal the electronic components. Lower section of the left front column contains the audio and video components. 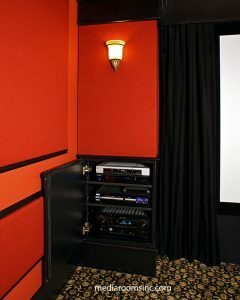 Front columns hide front speakers behind red acoustically transparent fabric. Side columns hide side surround sound speakers. 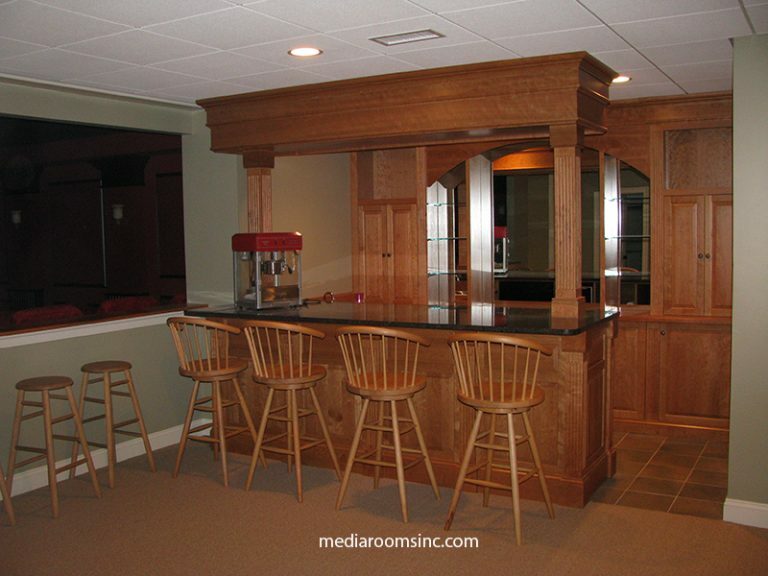 Custom bar was located for viewing into the theater. 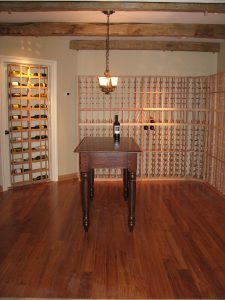 The dedicated wine cellar can hold 980 bottles.